"This long-flying disc utilizes an ultra-bright L.E.D. fiber-optic array illuminating the entire disc from every angle. The innovative design provides optimal balance and stability. Operation is easy - simply twist a small button on the bottom of the disc to turn on and off. This disc looks,feels and flies like the highest quality non-illuminated discs. 8" Easy Carry Size. Constantly Changing Colors. Lights Up for Play Anytime." I was sent an 8.0" LED Flying Disc from J&R Toys to review. This flying disc arrived safely to my door step. There were no dents, defects, nor issues during shipment. The disc measures 8.0" in diameter. It is white with colorful sticker accents and a turn-LED. The flying disc was packaged in a cellophane bag. The bag was pretty awful, I wish it was packaged in a box. It wasn't even labeled with the product or brand. All it says is "Toys" scrolled across the top. The good thing, though, is that this bag was easy to open! The bottom seal pulls directly open. This flying disc works great! It is also incredibly durable for hours of play. All you have to do is turn it over, and find the knob. Give it a quick turn, and the disc changes colors! It looks awesome when you are flying it. My son has been enjoying this so much! It's been so nice outside that this has been the Springtime hit! It flies well, and looks pretty amazing at night. 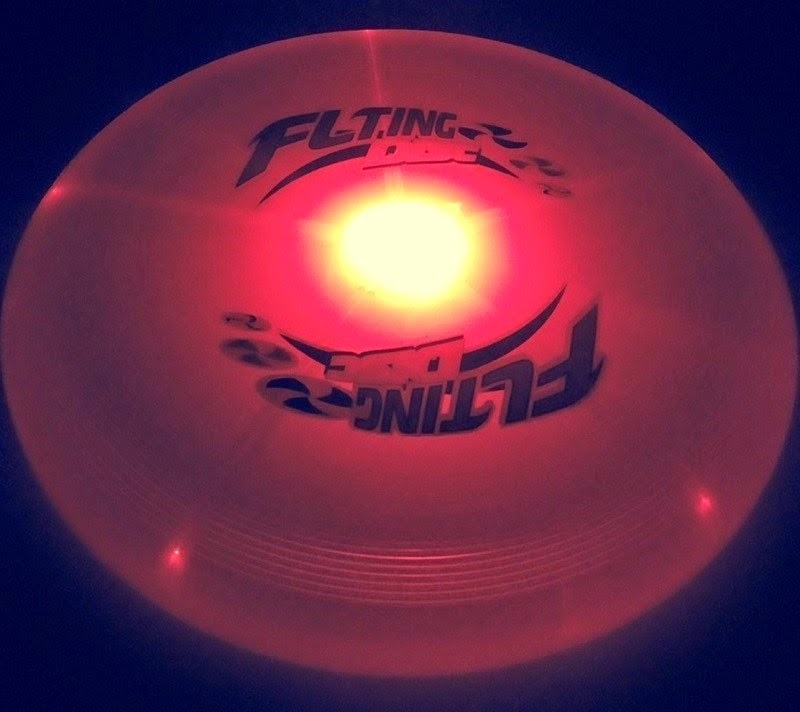 Are you wanting to try Ultra-bright LED Fiber-optic Flying Disc, too? Click the link below, and order away!